– Page 2402 of 2407 – Women's Mod and Retro Clothing, Shoes, Fashion Accessories, Home Decor. 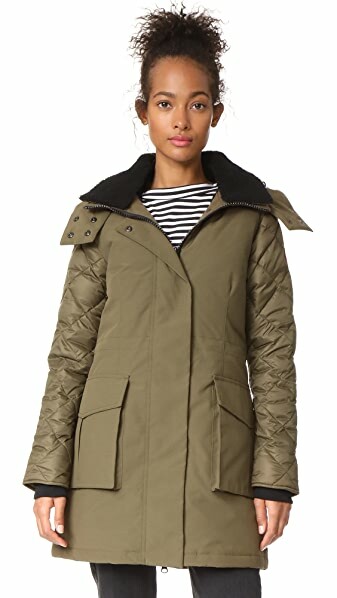 A sturdy Canada Goose down-filled jacket in a thigh-length silhouette. A detachable panel of soft shearling lines the collar, and a snap-flap covers the two-way zip placket. Snap-flap hip pockets. Snap vent at back hem. Quilted long sleeves with inset knit cuffs. Interior straps for easy carrying. Lined. Relaxed-fit ‘rigid’ jeans in dark blue. Five-pocket styling. Logo flag at oversized back pocket. Oversized leather logo patch at back waistband. Zip-fly. Silver-tone hardware. 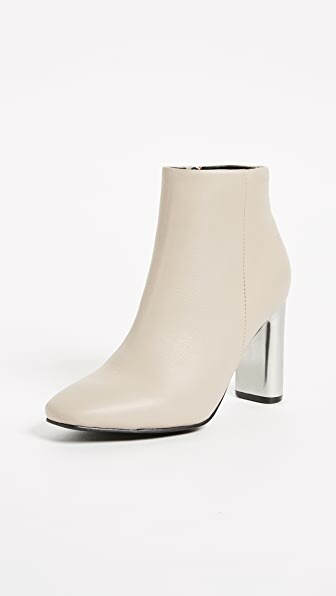 Modern Sol Sana booties with smooth leather uppers and brushed metal block heels. Concealed side zip. Rubber sole. Patent faux-leather slip-on sneakers in ‘ruby’ red. Graphic cut-outs with ‘chocolate’ brown grained faux-leather underlay throughout. Round toe. Black grosgrain trim at heel collar. Black stripe at off-white rubber platform sole. Tonal stitching. Approx. 2″ platform. 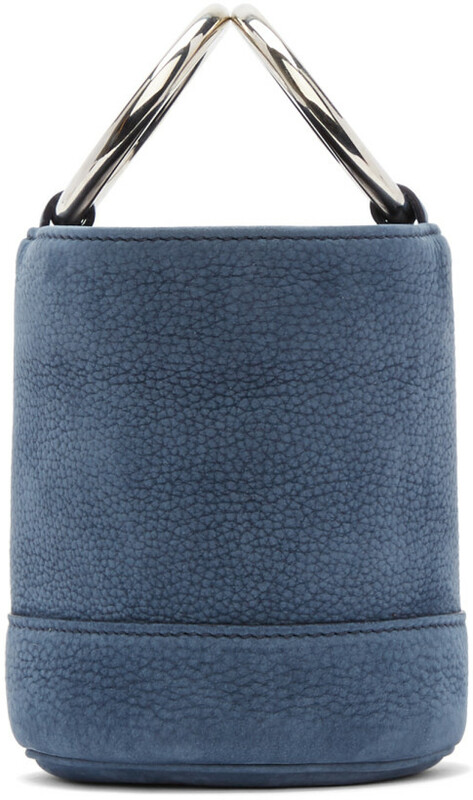 Grained nubuck leather top handle bucket bag in ‘baby’ blue. Twin metal carry handles. Logo embossed at reinforced base. 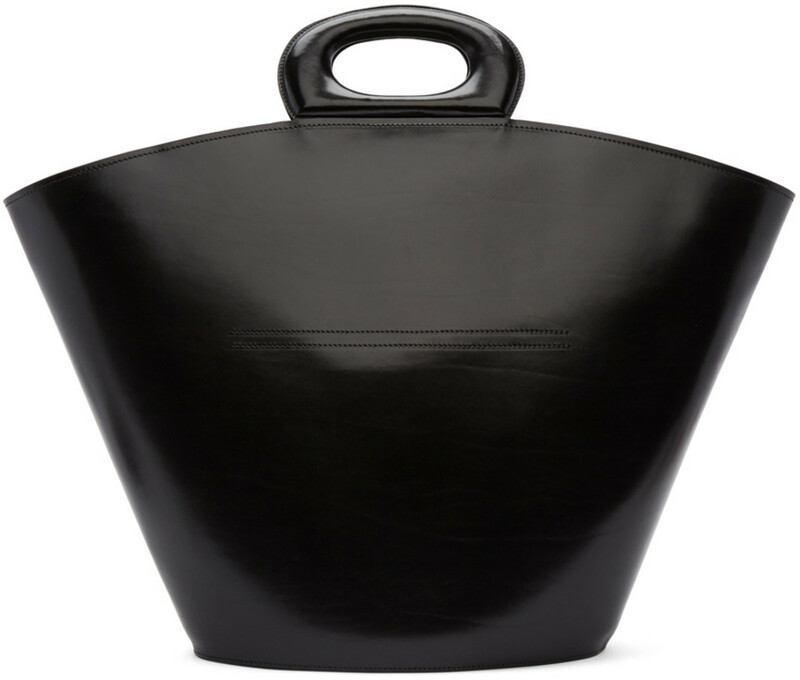 Structured buffed leather tote in black. Twin carry handles. Detachable shoulder straps with spring-ring fastening. Detachable leather lanyard, zippered pocket, and logo stamp in silver-tone at interior. Textile lining woven in black and white at interior. 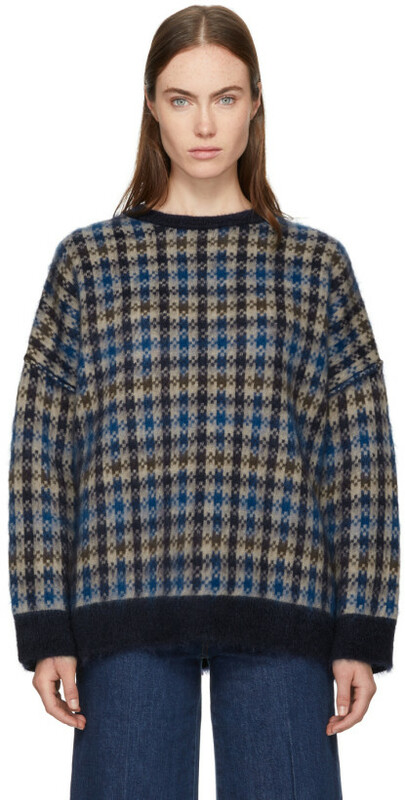 Long sleeve wool and mohair-blend sweater featuring check pattern in tones of ‘camel’ beige, brown, and blue. Rib knit crewneck collar, cuffs, and hem. Vented side-seams. Dropped shoulders.